Own a piece of paradise in one of the most prestigious and iconic neighborhoods in Sarasota- Lido Shores. Your 3,211-square foot, 4-bedroom / 3-bath home was totally rebuilt in between 2007 - 2010. This home boasts two master suites. Your upstairs master retreat includes a sitting room with balcony, a spa-like bathroom and a bedroom balcony overlooking the pool. The second downstairs master is perfect for easy access throughout the house. The fully equipped kitchen, including a gas range cooktop, is light, bright and open to the great room. With an open floor plan and gas fireplace in the living area, entertaining becomes a dream as your great room sliders open to a private tropical oasis. A beautifully tiled pool and open-sided cabana with an outdoor kitchen area, bar seating, and a gas fireplace lounge area becomes an extension of your indoor space. A second outdoor yard area completes the outdoor experience. 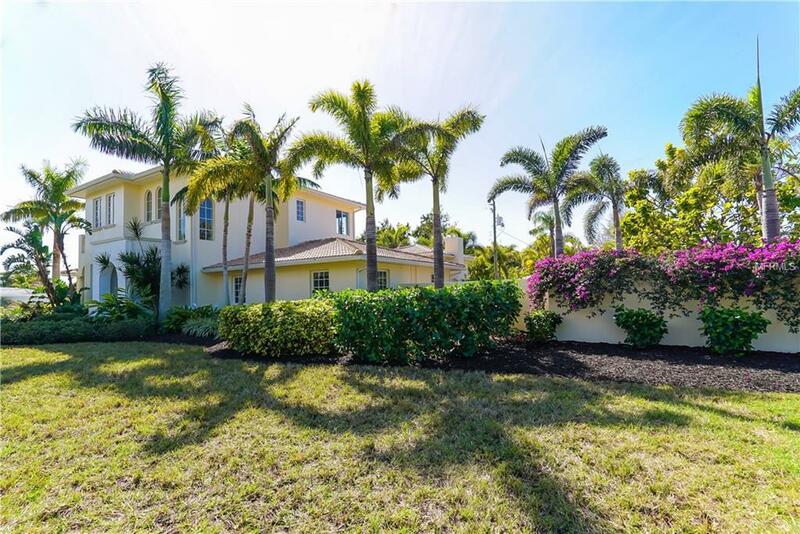 Meticulously maintained home with impact windows, electric solar window treatments, a hot water recirculating system and 3 zone HVAC system provide piece of mind while enjoying Lido Shores and all of Sarasotas amenities. Lido Shores offers private deeded beach access to one of Sarasotas beautiful white sand beaches and convenient location to St. Armands, Mote Marine and Downtown Sarasota.